Summary: The life cycle of a frog is described through illustrations and one word of text per page. 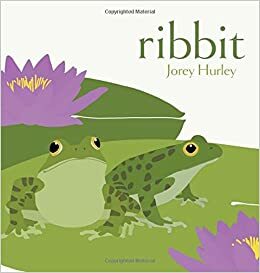 It begins with “Wait”, as two frogs swim near a mass of eggs, and ends with “Ribbit”, as one of the hatchlings, now an adult, finds a mate. In between, the eggs hatch, a tadpole transforms into a frog, and that frog catches an insect and hibernates in the mud. An author’s note gives more information about frogs and their life cycles. 40 pages; ages 3-7. 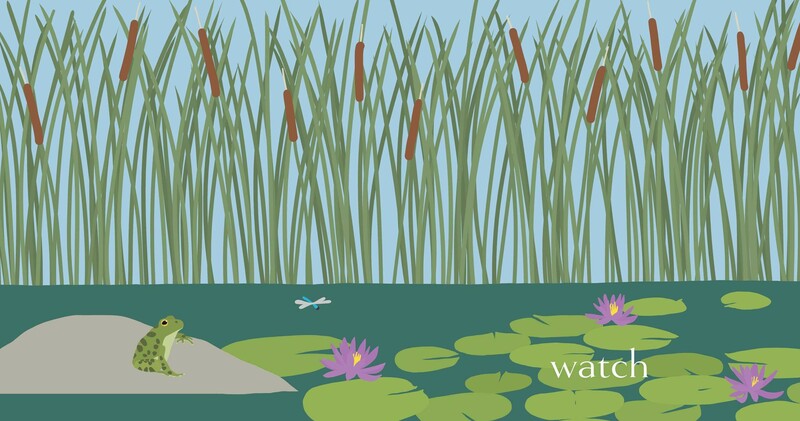 Pros: Young children will love the bright, clean illustrations depicting the frog and its environment around a pond. The single words convey a lot of information. Cons: A list of books and/or websites about frogs would have been a nice addition.